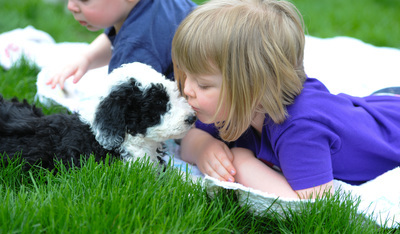 We are breeders of quality Sheepadoodle puppies located in North Central Ohio. Look no further. Your search for the right family pet ends here! A Sheepadoodle is a cross between Old English Sheepdog and Poodle. This highly intelligent cross breed is a loving and friendly family dog. They are easy to train and very loyal. Sheepadoodles shed minimally and are allergy-friendly. My F1 sheepadoodles are predominately black with white feet/legs, collar, chest, stomach, face, and muzzle, then black markings on head: eyes, ears, etc. The tail is black with a white tip, and tails are left on! The black may go silver/gray with time. 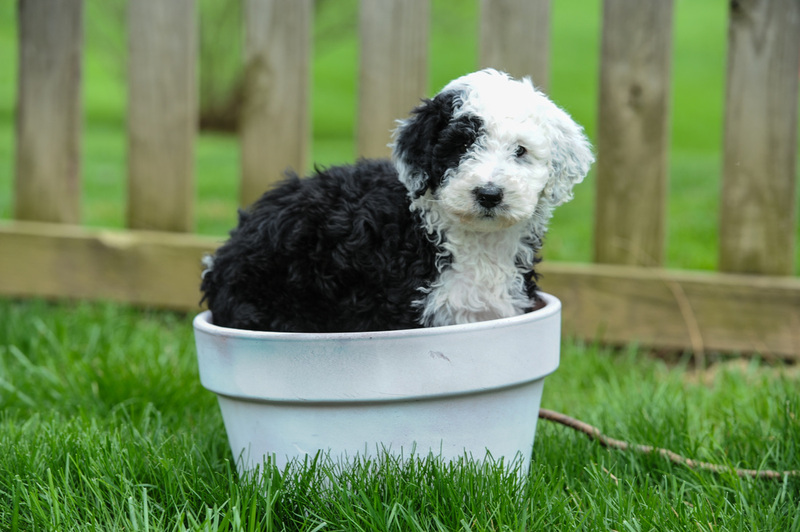 My Fb1 sheepadoodles can be similarly black and white, white with a few black spots, or solid white, which usually begins as a creamy white color that brightens with age. 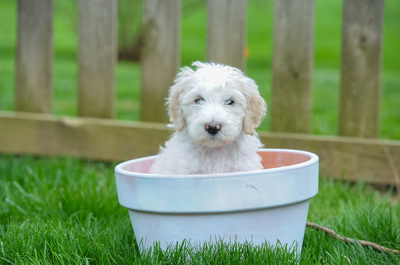 Standard sized Sheepdadoodles weigh anywhere from 50 to 80 pounds and stand between 13 and 24 inches tall. Is this living teddy bear from Sweet Sheepadoodles the right dog for you and your family? Hear what other families have to say.